We supply and install British made water softeners supplied by Harvey Water Softeners to suit all sizes of property. The benefits of softened water are many and varied so please spare us a moment to explain them to you. We also have a wealth of Information About Drinking Softened Water. You also reduce the carbon emissions by the reduction in the amount of soaps and cleaning products used. Carbon emissions are further reduced by the extended life of home appliances, plumbing, bathrooms, showers, etc. and the reduced number of visits by service engineers to maintain and repair the equipment from the ravages of lime-scale. A water softener will remove all existing scale from within the household appliances, pipe work and on surfaces such as showers and baths. A water softener will also prevent the scale from re-occurring. Your shower rose will work at full efficiency all the time and never block up. Your sink will stay clean, your taps shiny and the removal of scale will keep your boiler and heating system working at peak efficiency. A water softener will remove the presence of scum when washing. Many people now use liquid hand soaps to avoid the effect of scum but they are more expensive and much less kind to the skin. By using softened water and natural soaps you get a much cleaner and kinder washing experience. You also get bubbles in the bath from soap rather than having to add chemically derived bubble bath. A water softener will greatly reduce the amount of housework needed to keep your home clean. In particular the shower cubicle will stay clean for weeks on end with only the occasional polish needed for when guests come to visit or you are feeling bored with the television and want to do something useful. Your bath, wash basin and toilet bowl stay clean. Your kitchen and utility sink stays clean and you never get the spot marks that you do with hard water. A water softener will greatly alleviate skin complaints. There is much anecdotal evidence from sufferers of eczema, psoriasis and other problems such as dry skin that indicate that softening the water will greatly improve it, if not eradicate it all together. Our Government has finally recognised this and currently there is a large research project going on with the National Health Service funding Nottingham University to carry out a full study. Softened water improves your hair washing experience and for many people completely banishes bad hair days. The choice of shampoo is important as softened water washes completely differently to hard water. Installing a water softener will save you money, and lots more than most people ever think of. The most immediately noticeable is in the reduction of washing powder used for the family clothes washing. You also save considerable amounts of money on all the other cleaning products used such as surface cleaners, shower cleaners, scale removers, floor cleaners, etc. etc. For a full list of these products go to this page money savings on cleaning products. Less noticeable, but nevertheless substantial are the savings you make by removing the scale from your hot water heating system. A typical family of 4 spending £250 a year heating the hot water will save around £20 to £30 per year. Extending the life of your capital equipment by just a few years is substantial. Your boiler and heating system, plumbing, hot water cylinder, washing machine, dish washer, bath, shower with a repl acement cost in excess of £10,000; extending the life by just 10% will bring an annual benefit of over £100. Installing a water softener will also help save the environment. 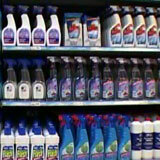 The excessive amounts of phosphates and chemicals used in our cleaning products mostly goes down the drain. By reducing this substantially you will help save our streams and rivers from the ravages of chemical degradation. And finally, installing a water softener will improve the quality of your life. Most people buy their first water softener for reasons of the head. It makes economic sense, it is environmentally friendly, it is a sensible thing to do. However, once people have lived with the benefits of a water softener and enjoyed the luxury of bathing, washing and showering in clean, scum free, water they find it difficult to put up with the hard, nasty, dry skin causing hard water. Gentlemen find it much nicer to shave in softened water and having an outside tap on softened water for washing the car makes it a quick, easy and pleasurable experience as you don’t have to leather it off afterwards.